Just back from an exhausting but exhilarating day full of outdoor activities and team challenges. We were working with a new team who were going to be facing a lot of new challenges in the future and needed to become a really well-knit team as quickly as possible. An outdoor day is brilliant for team bonding and breaking down barriers fast. People get to see each other in a different light, new skills emerge and levels of trust and support come to the fore when tackling strange and out of the comfort zone challenges. 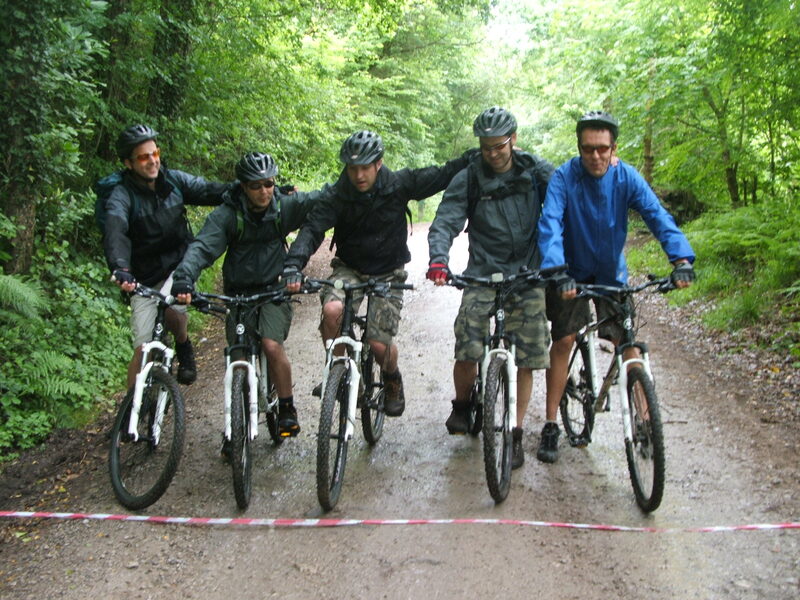 This particular challenge was a journey that involved 3 stages by canoe, on foot and by mountain bike to reach a set destination by a set time. The journey is physical and the weather could've been better but these guys were a tough team and emerged victorious. They loved the time away from the office in unfamiliar surroundings and the time to see and understand each other in out of office roles. As well as the physical challenges there were also a whole series of team activities to be completed along the way. Each team activity successfully completed was rewarded with a key to the treasure box. Each leg of the journey contained questions and clues which correctly answered were rewarded with further information regarding the whereabouts of the treasure box. 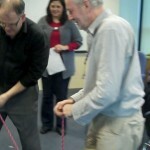 So lots to do whilst this team building event was taking place both for the organisers and the participants. In the end it was a long, hard day but amply rewarded with the sharing of the contents of the treasure box and a job well done. Just back from a training and development summit at Stanstead airport! 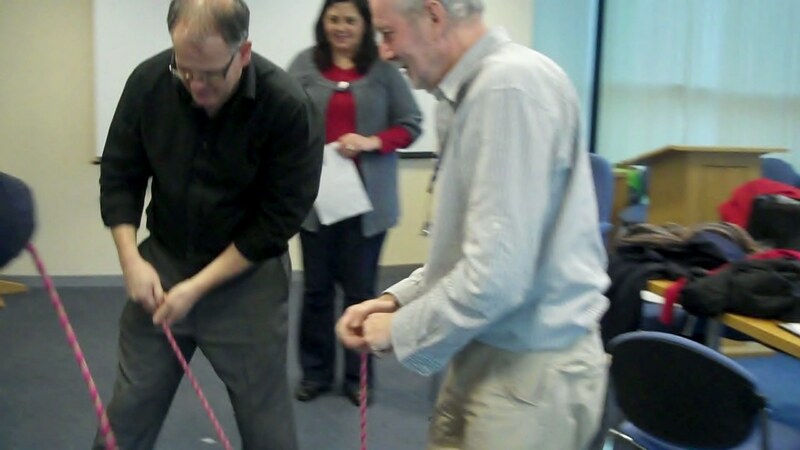 Have fun with your training and development programmes. 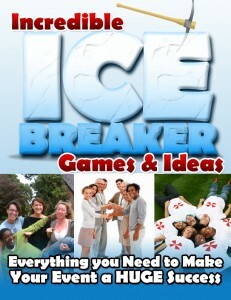 Get more team building and ice breaker ideas here! 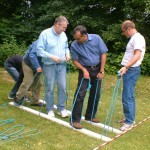 Here's a neat little team building activity that's great fun that will test your team's co-ordination and resolve. 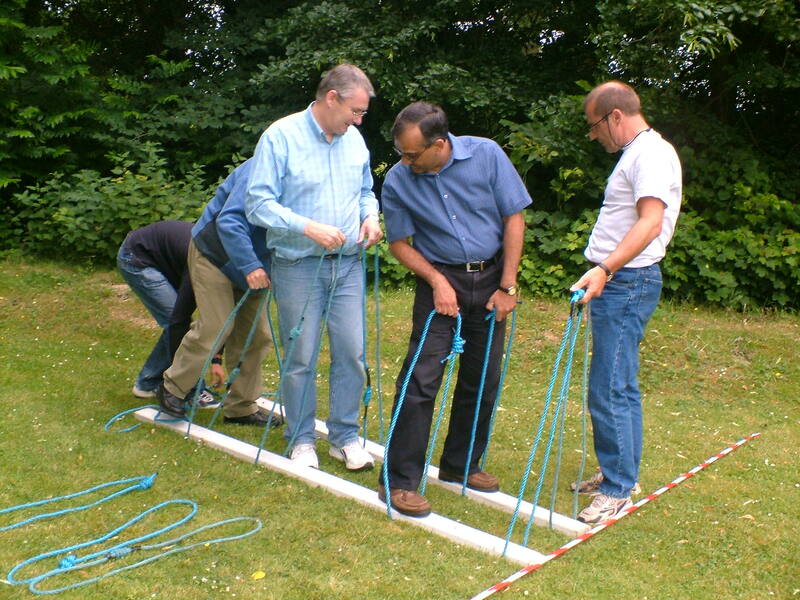 You will need 2 short planks per team, and 2 rope or cloth slings for each person. You can have a start and finish line if you want to make a race of it! Mark out a route with cones or bamboo canes across a lawned area. Instruct the teams that when you say go they have to cross the start line and follow the route around all the posts, without touching the ground and using only the equipment provided. Alow a few minutes planning time. 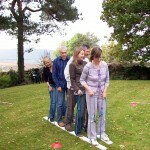 Divide your group into teams of 5 to 6 persons and give them the 2 planks. 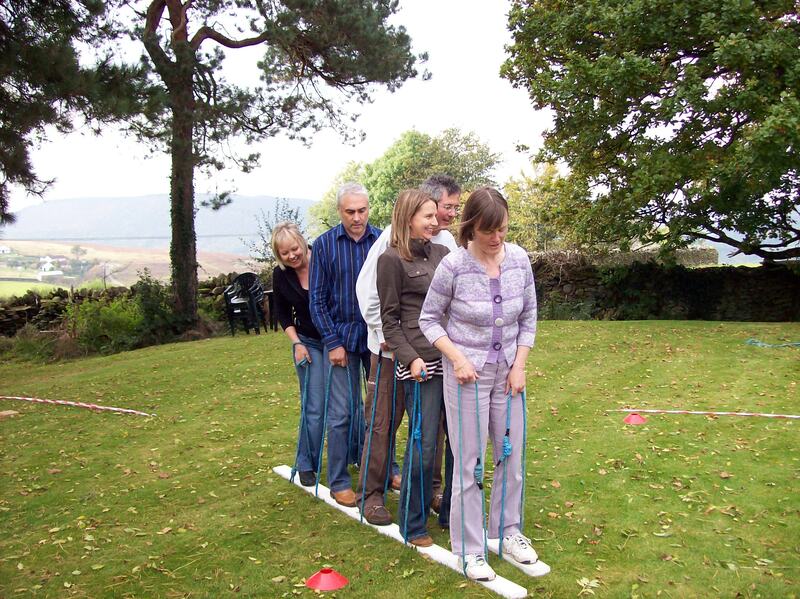 Give each person 2 slings and then time them around the route. It's hilarious fun, easy to set-up and the teams are sure to have a good time! How did teams make use of the planning time? How did the team problem-solve and come up with the solution? In what way did the team work well together?